1.45pm is the start of the race so plan your journey to the race headquarters allowing plenty of time, aim to get there at least an hour before. (TIP- assuming you are driving there it’s a good idea to put your cycling shoes/helmet/race license/ID in the car the night before, you can’t ride without these. You are unlikely to forgot your bike but its easy to put the shoes you drive in on and forgot your cycling ones !). 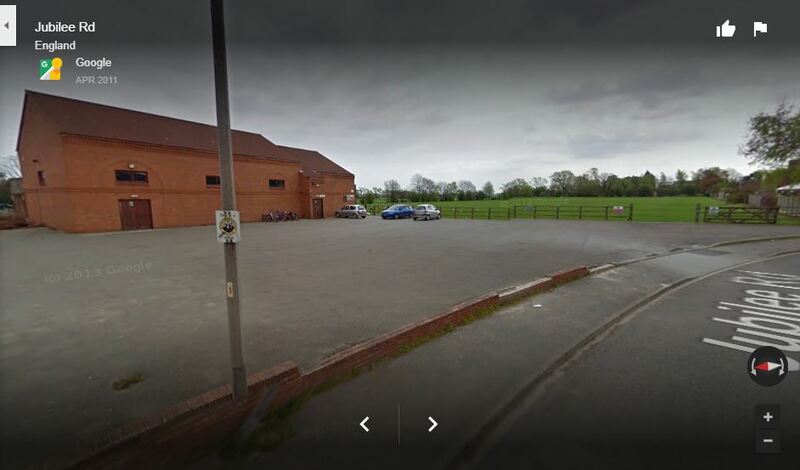 There is ample free parking here and there are separate changing rooms, showers are available. You then need to sign on in the main hall and hand over your race license and collect your 2 race numbers that you attach to the back of your jersey with the safety pins provided (positioning them next to each other over where your rear pockets are). There will be enough people around to help with this if you are having difficulties. If you don’t have a race license you can buy a day license at sign on, cost is £10 to Bronze/Ride British Cycling (B.C.) members and Non B.C. members and £5 for Gold or Silver. Identification(driving license, passport)/B.C. membership card will be required on the day if you don’t already have a race license. Race license/I.D. will be handed in at sign on and returned after the event. All the admin is now done and you can get on the rollers/do your warm up/last minute bike checks. 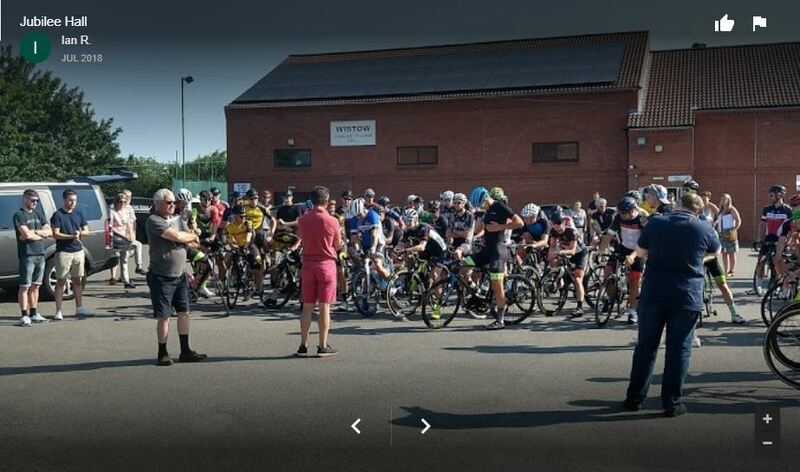 There will be a Race briefing by the British Cycling Commisaires (the officials/referees/umpires for the race) in the car park outside the Village Hall where they will run through the format of the race any course instructions/safety issues, what to do in the event of X. (any questions/concerns you have can be raised here). You will then line up behind the Race Convoy (which consists of 6 vehicles containing the Commissaires, Paramedic and broom wagon (a vehicle to pick up riders without alternative means of getting back to H.Q.). There are no assigned places you can just position yourself anywhere in this group. When all riders are assembled you will follow the convoy to the start approximately 1 mile away, the race is neutralised at this point which means you roll down there, no racing, no overtaking the convoy. 1.45pm RACE START- Game Time ! As you approach the start/finish line (white line across the road with flags either side of it and a lap board and bell) once the Commissaires are happy that all riders are together they will wave a flag signifying the race is on ! The race is approx. 38 miles, 7 laps (pace yourself, stay with the group where you can and the further up the group you can position yourself the less likely you are to get taken out in any crashes). Start flag about to drop ! As you cross the line at the end of each lap the lap counter will show how many laps are remaining, at the start of the last lap the bell will be rung to signify one lap to go. The next time you see the line there will be a chequered flag waving (hopefully 😉 ). Estimated duration of the race is 2 hours. The race takes place on what is described as “open roads” which means that they are not closed to traffic so you will need to stay on the left hand side of the road, inside the white lines at all times. The Commissaires can disqualify you from the race for not complying with this but they will run through that with you at the briefing. 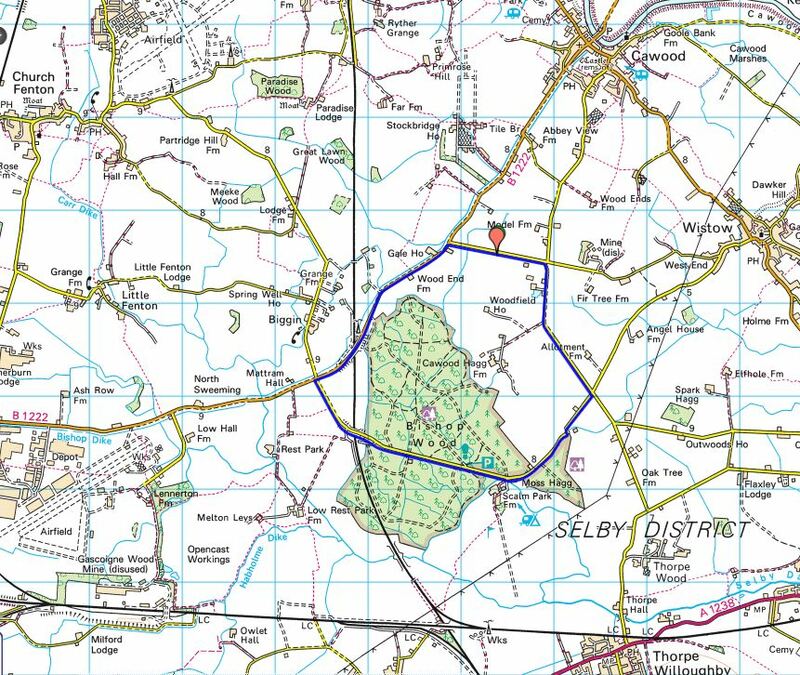 The course (marked in blue below) is anticlockwise and there are 4 turns that will be be staffed by Traffic Management (Hi Viz wearers that will temporarily close the junction to traffic) or marshalls. We are planning a course recce that anyone considering racing is welcome to join us for, where we will meet at the HQ, roll down to the start finish, complete a lap and discuss any questions/concerns you may have. This is initially planned for the weekend of the 9th/10th March. What is a Category 3/4 race ? 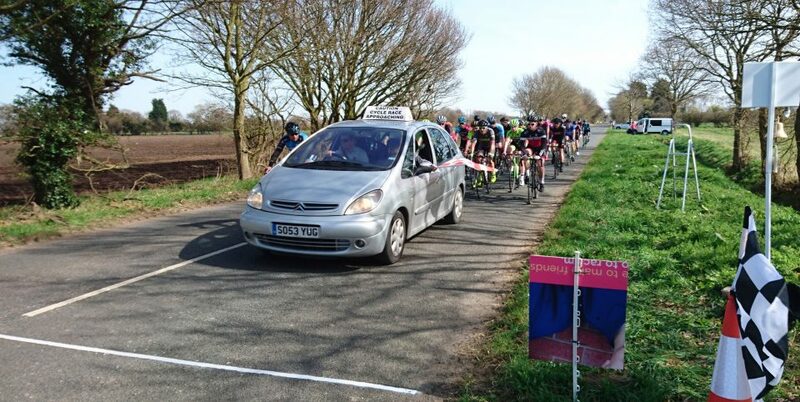 This is the entry level for road racing, (a full explanation of racing categories can be found here) and suitable for beginners that have not raced before by buying a “day license” which was mentioned above and also covered on that last link. What happens if I get a mechanical ? If you are able to, make the riders around you aware by shouting “mechanical”/raise your hand and try to roll to a controlled stop at the left hand side of the road once all other riders have passed you. There isn’t any official mechanical support but friends/family/spectators/broom wagon are allowed to help, you will need your own spares. If a quick fix is not possible then depending where you are on the lap you can either get picked up by the broom wagon or make your own way back to the H.Q. or watch the remainder of the race, the start/finish line is a good viewing spot. What happens if there is a crash ? It’s bike racing, crashes happen, hopefully you are not seriously injured and if you and your bike are still in race shape you can continue. There is a mobile paramedic in the race convoy that can stop and give assistance and various first aiders around the course. In the event of a large pile up of riders the race may be temporarily “neutralised”. The Commissaires will notify you if this is the case and racing will temporarily be suspended, riders will roll behind the race convoy until the course has been cleared of any riders/obstructions/the paramedic is once more available and riders will be notified that racing will resume. What happens if I get lapped ? You are still part of the race, keep going unless told by the Commissaires to stop, lapped riders usually get stopped on the final lap, before the finish sprint (so they don’t interfere with the result or cause dangerous situation on the run-in/sprint). The race finishes when the chequered flag waves, once across cross the finish line you stop, don’t carry on to complete your last lap(s). You can pull out of the race at any time. 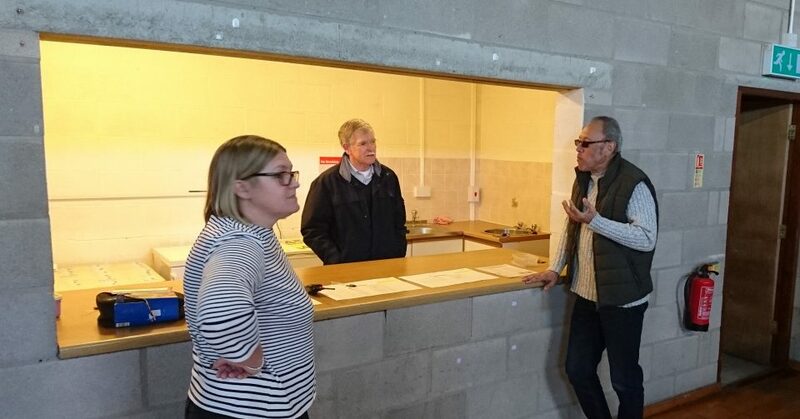 Commissaires will see anyone stopping and track any retirees and note their number, if you are near a marshall with a radio tell them your race number and that you have withdrawn. Are there any clothing/bike restrictions ? You must wear a hard shell cycling helmet to ride in a B.C. race. For a 3rd Category entered as riding for a club/team you must be wearing that club/teams B.C. registered kit. 4th Category and day license holders will be allowed to wear any suitable clothing. A standard road bike in good working order, with a freewheel, drop handle bars and 2 working brakes (disk brakes are allowed) must be used, no tri bars and no cameras. 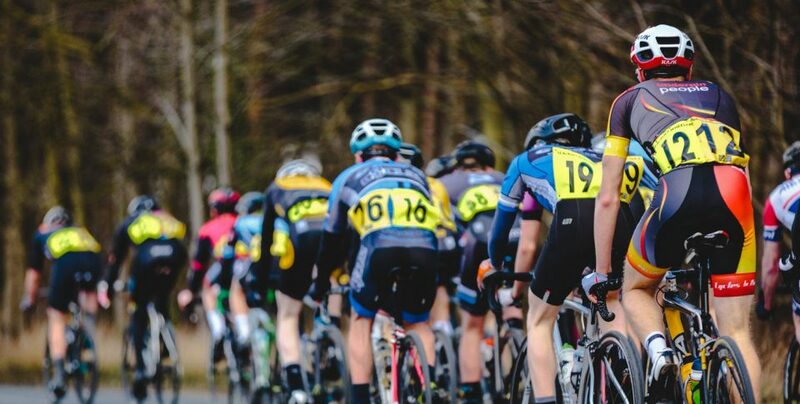 If you are a “junior” (under 18 years old) then you will have a maximum gear restriction on your bike of 7.93m roll out, which approximates to 52 front, 14 rear but a marshall can check this with you before the race. You will find a more in depth explanation of clothing and bike requirements in the General Road and Track Regulations. Do you know your race number ? Lots to remember and think about but if the Commissaires/marshalls need to speak to you it will be “number 23 keep off the right side of the road” (for example), stating the obvious here but you need to know this is YOU, it could be the difference between staying in the race and disqualification. Am I allowed to enjoy it ? Yes ! That is the hope and intention. For sure it is going to be challenging, there will be incidents, touches of wheels, maybe some elbows and harsh words said in what can be a chaotic situation. Once you have crossed the line you will make your own way back to the HQ (just be aware that there could still be some riders on the course) for some food (the homemade brownies are excellent) and the Prize Giving. British Cycling points awarded up to 10th place for holders of a full B.C. license. News article with some pics of last years event.